One of the channels I enjoy watching is National Geographic. You won't find any of their shows aired anywhere. That's because they take pride in providing new and original shows. It's also a very educational channel and as much as you learn from every show, you don't feel like your confined in a classroom setting. It makes learning entertaining. 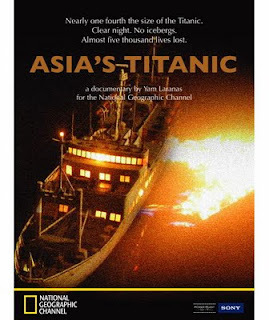 Last week, National Geographic International has announced the premiere of "Asia's Titanic," a one hour exclusive about the MV Dona Paz ocean distaster in 1987. MV Dona Paz collided with an oil tanker in the evening few days before Christmas. The accident is considered one of the most tragic in Asia as 4,000 passengers died and only a handful of people lived to tell of this tragedy. This documentary is also a first for a Filipino filmmaker to direct and produce a documentary that equals the hallmark standards of National Geographic. Director Yam Laranas and his team had to adhere to several guidelines in producing top quality documentaries that National Geographic standards hold. The project took a total of 3 years in the making. 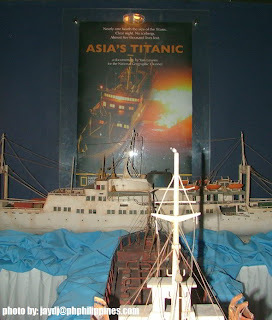 Aside from the filming, the project involved extensive research which included interviewing survivors and rescuers for first-hand accounts, actual transscripts from the Philippine congressional inquiry regarding the tragedy, archival actual footage and photos and the re-enactment of the collision. Don't miss this Filipino documentary of a Filipino tragedy, only on National Geographic. Hi Regie ! the dates and replays are all above. Thanks!